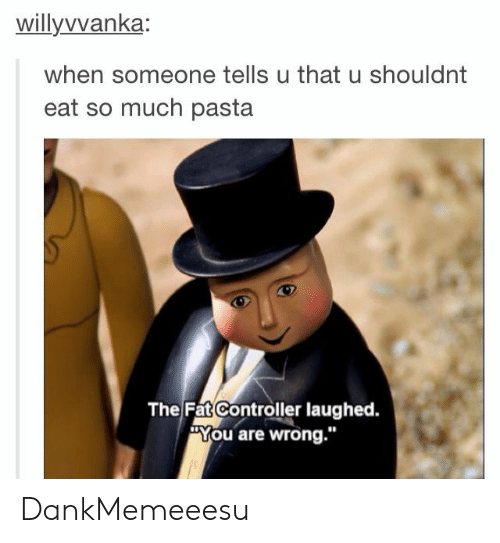 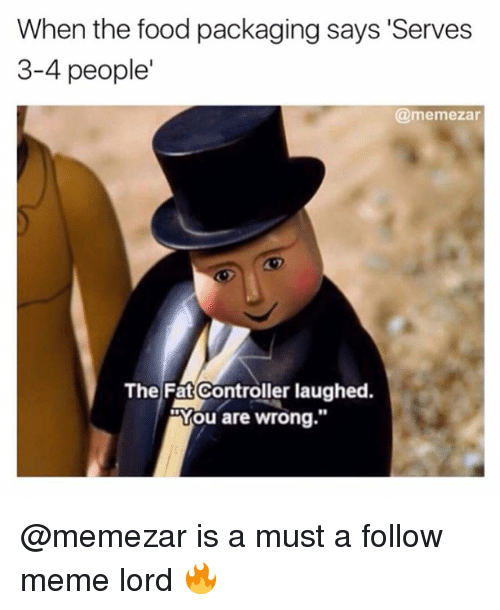 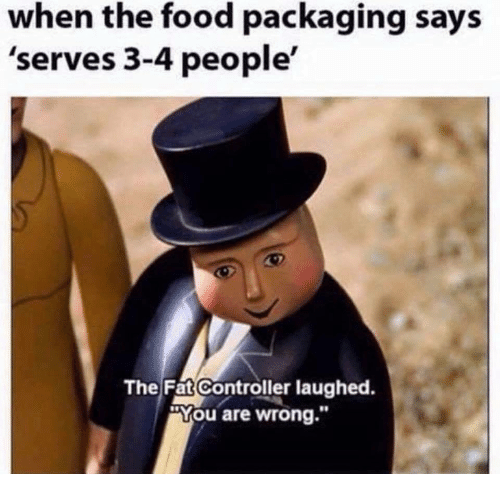 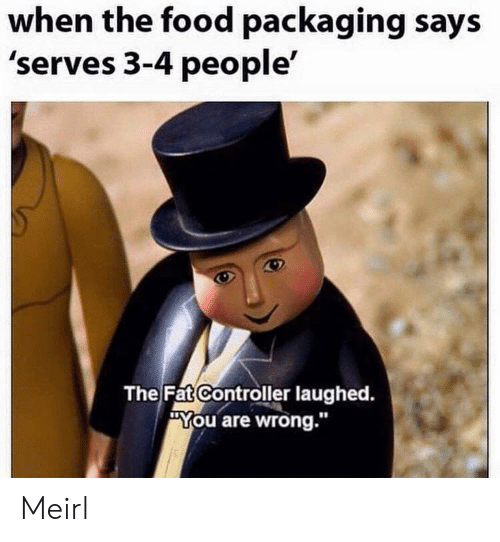 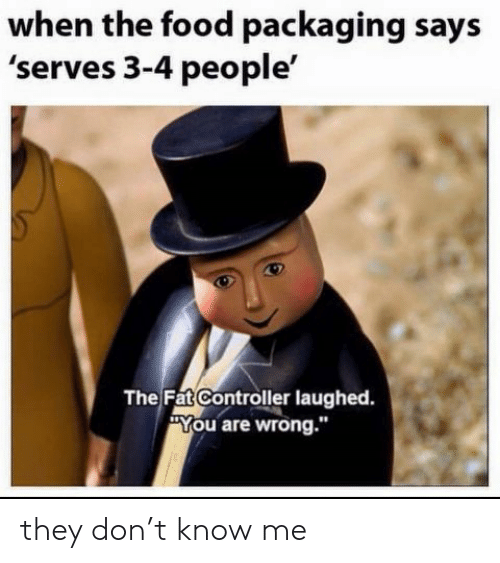 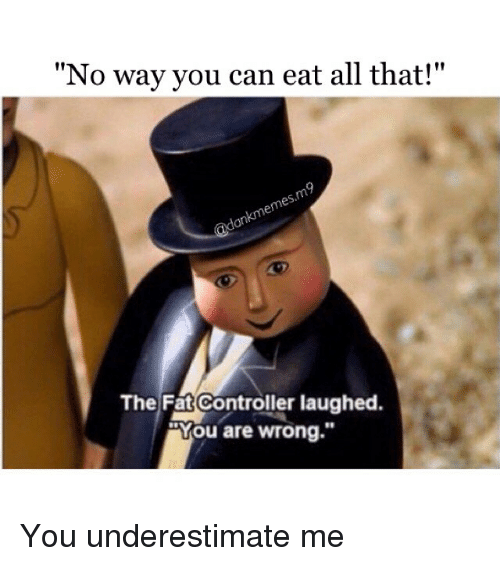 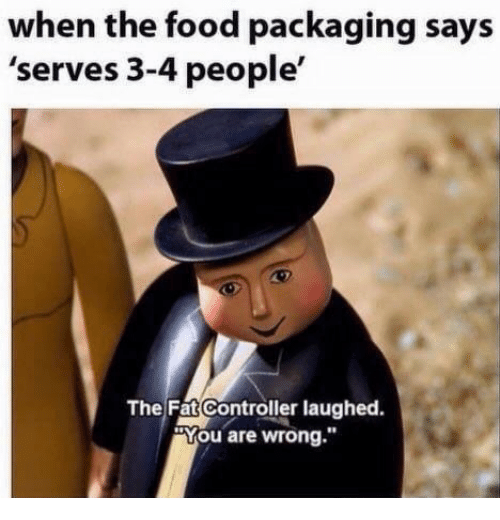 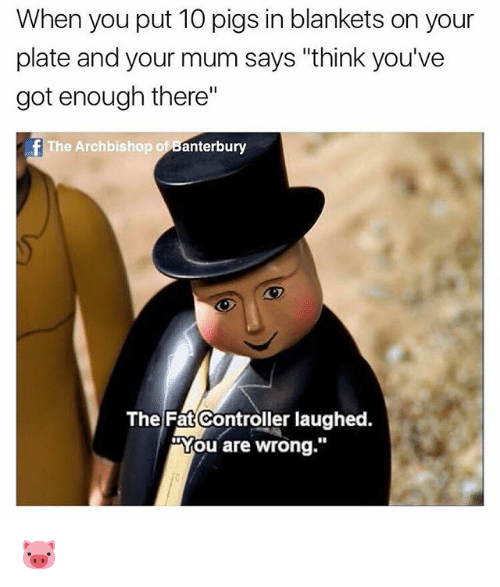 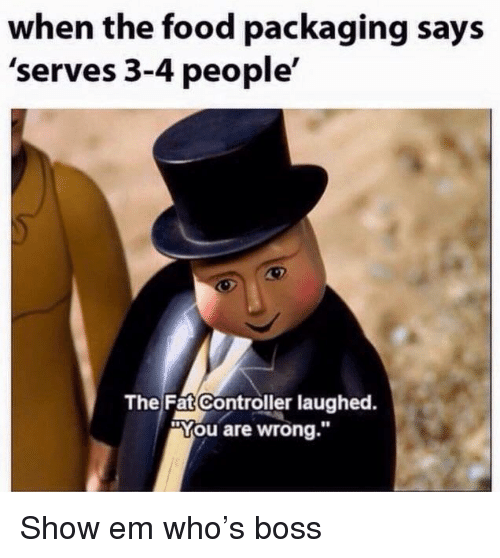 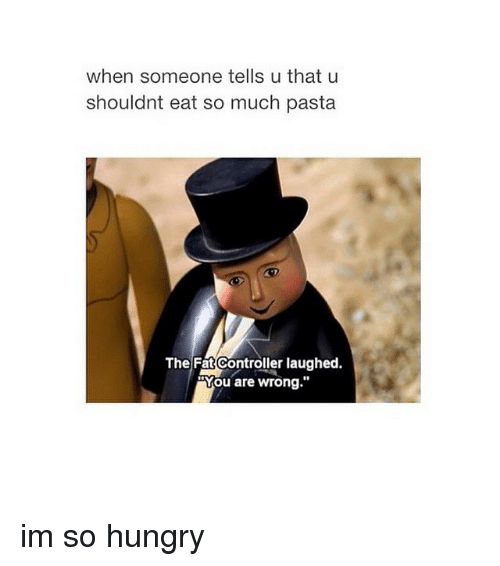 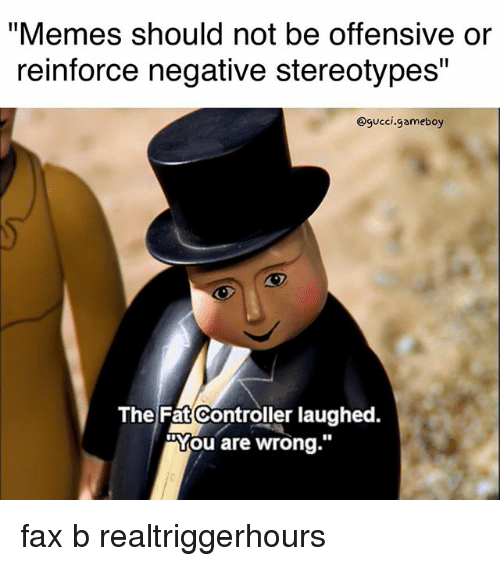 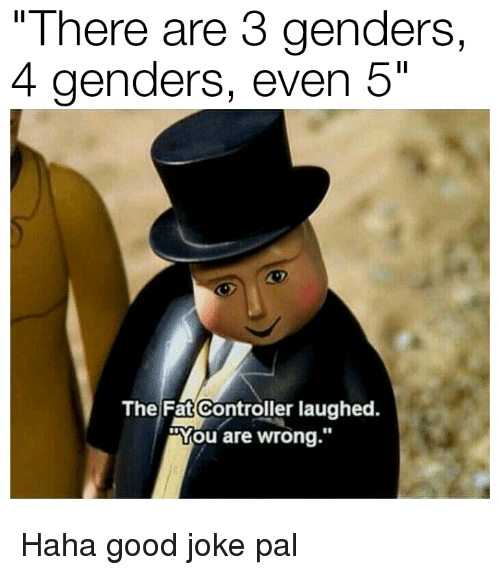 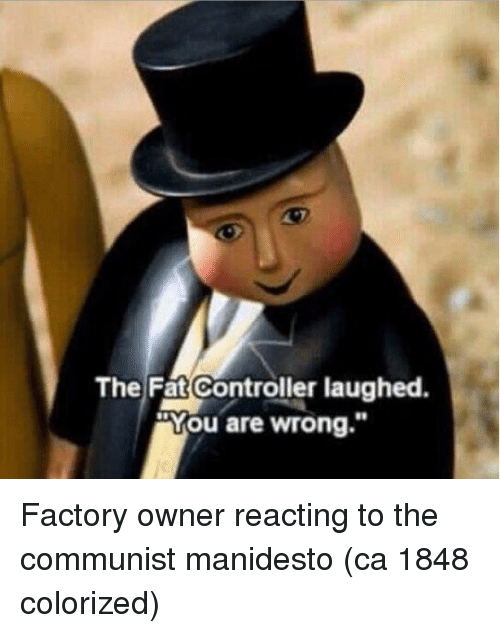 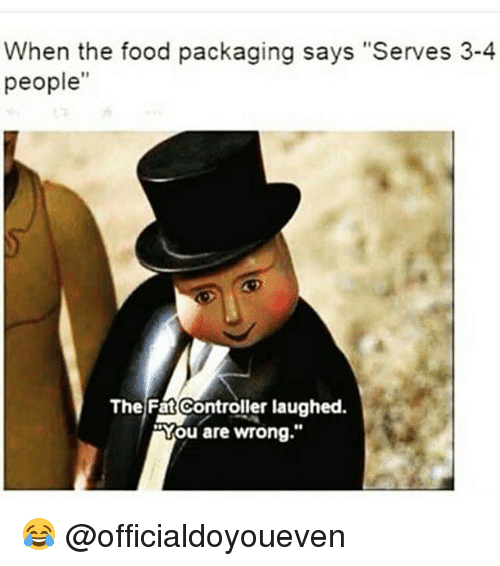 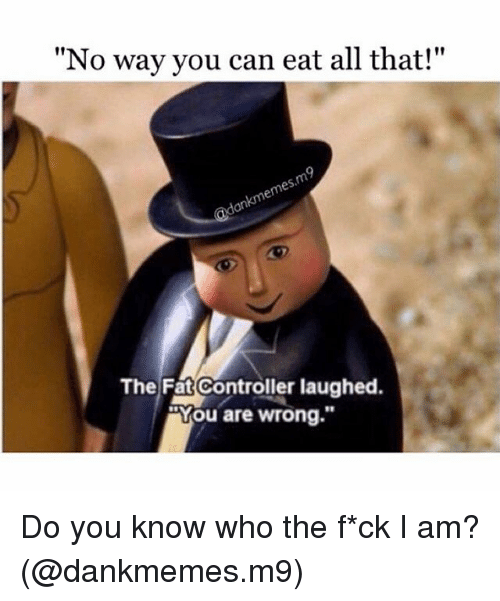 Memes, Fat, and 🤖: when the food packaging says 'serves 3-4 people' The Fat Controller laughed. 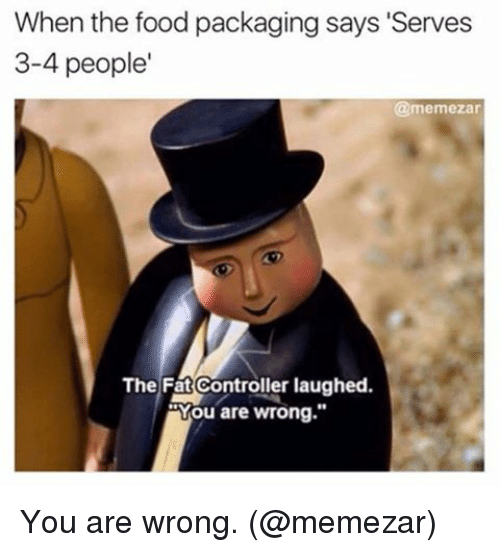 You are wrong." 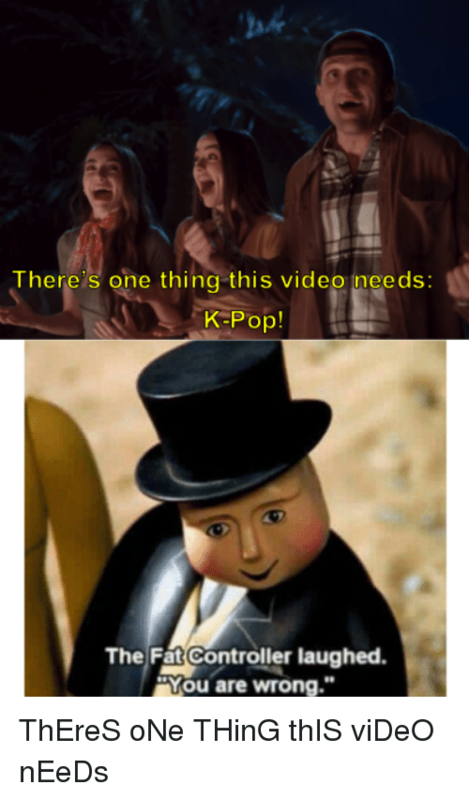 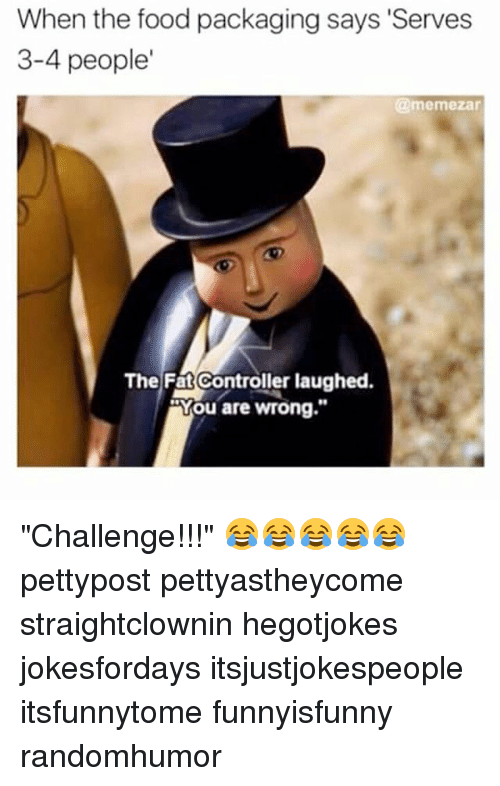 Memes, 🤖, and The Fat Controller Laughed: You can't finish this game in one nigh- The Fat Controller laughed. 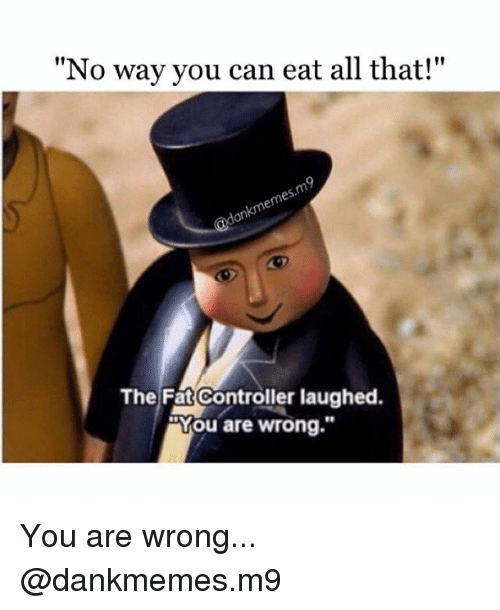 You are wrong." 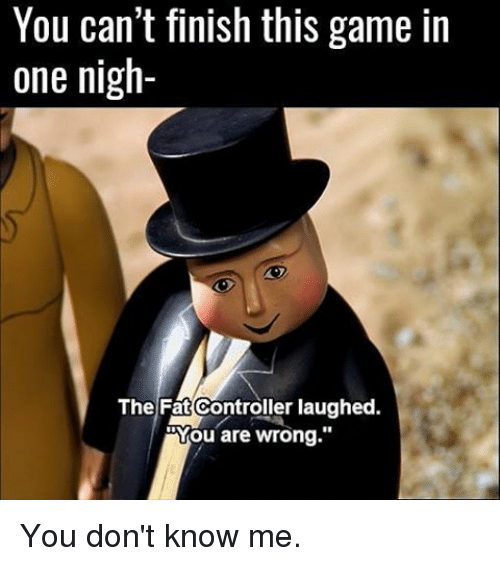 You don't know me.